So...I'm a little late getting this one up. We went down to the Great Smoky National Park last week - our absolute favorite place to go. Nothing beats the mountains; some day, I hope to move to Tennessee for good. BUT - that is not what we are here to discuss! It's the 2.5 month update on the Clashifer Hyper-Rush project. As expected, the base hit L4 defenses at the end of May. I've also taken advantage of the Battlefest and Hammer Jam events to sneak in a few level 5 upgrades as well. As in the past, all of the trophy counts each day are included in the daily log on the blog. I brought everything up to level 4 fairly quickly and pushed my Roaster, Giant Cannon, and MultiMortar to level 5 as well. Getting this extra bump to the key defenses has gone a long way in winning matches. 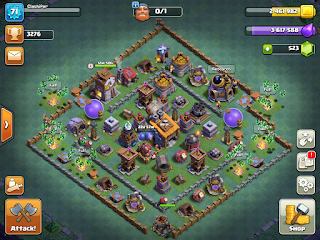 Right now, the game is hovering just below 3300 trophies and pulling in a bit over 400K each day in loot from raids. That's a pretty good place to be and just enough daily resources to keep things moving ahead. I upgraded the storages so I can retain max loot; that's allowed me to take advantage of the Runes of Builder Gold/Elixir very effectively. 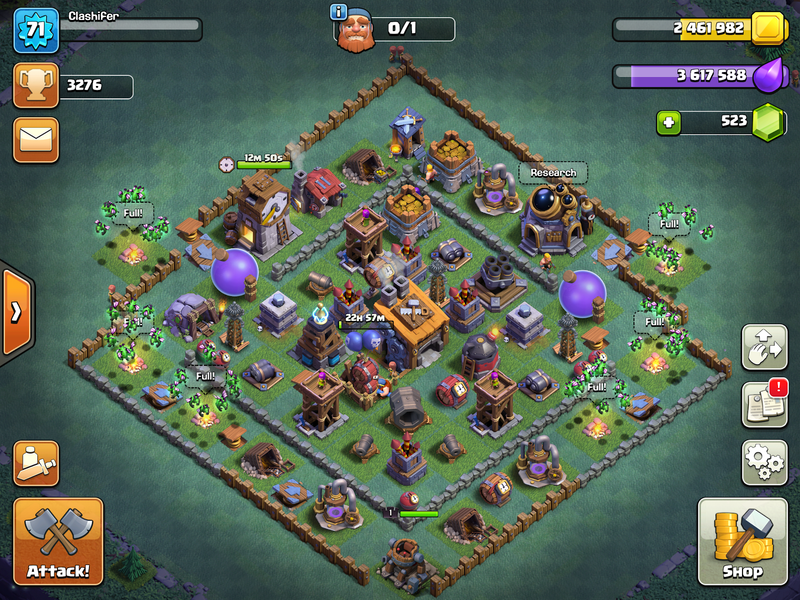 Being able to hold 4M gold goes a long way when you're upgrading low level defenses. Managing resources to prevent overflow has been more than a little challenging this last couple of weeks, what with the events SuperCell has been running. I had to shake up my previously pathed upgrades to run some more expensive ones. I was getting a bit nervous as we approached the 1 week mark for Clan Game Rewards; I still had a Rune of Builder's Gold in the bank that I needed to get through before I could grab the latest CG rewards but I diddn't want to waste the Gold I'd already built up. I came up with exactly the right upgrade path to clear the Gold Storages and...promptly upgraded the wrong building first. So...I used some of the gems I had stored up to boost the timer and bring things back on course. It wasn't too bad though - Hammer Jam has halved all the upgrade times, so it was short enough to not use up all my remaining gems. On offense, Beta Minions are now at L16 and that's also helped quite a bit in scoring better results in matches. However, the Battle Machine is still level 1 and although I am managing...it's a tough one to manage. In nearly every 1-star or 0-star match, I came up short because the Battle Machine did not have his ability. I'm really going to have to knuckle under and upgrade him soon. I ran through some quick upgrades of the Barracks. Next up is the upgrade that provides access to Drop Ships and that is the next troop I will be upgrading in the Star Lab. I had considered making the jump to Cannon Carts, but that would be fully a month and a half to upgrade and Boxer Giants would take almost as long as well, so it just didn't make sense to me. I'm all in with air right now, so I will stay the course. Air-based attacks are common all the way up into the 4000s, so I'm sure it will be just fine. Once I get Drop Ships to L10, I should be able to use them fairly effectively with the L16 Beta Minions. 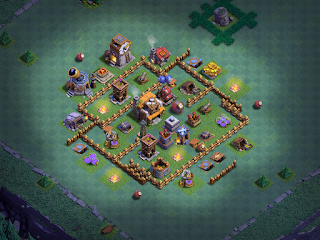 Here's the daily log of upgrades and a current picture of the base. I'm still running my standard, low-to-mid-3K base and it's turning out 50:50/60:40 win:loss ratios. As a level 4 defender, I have to admit...I'm fairly pleased with its progress. It's not running too far behind some of my other games that are defending a couple of levels higher and it's moved along much more quickly than my level 4 and level 5 games.